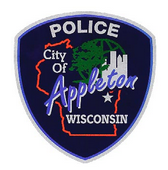 Posted on May 11, 2015 by Appleton Downtown Inc. In 1962, President John F. Kennedy named May 15th as National Peace Officers Memorial Day. The calendar week the day falls in was designated as National Police Week. This year, the week recognizing those who have sacrificed for the good of others is May 10, 2015, to May 16, 2015.